A social entrepreneur and Harvard M.B.A. student tries to put her nonprofit in India on sound footing. Día Día’s distinctive store design and convenient arrangement of basic goods have won loyal customers in hard-pressed Venezuela. Root Capital digs deep to determine whether, and how, low-income farmers benefit from access to financing. 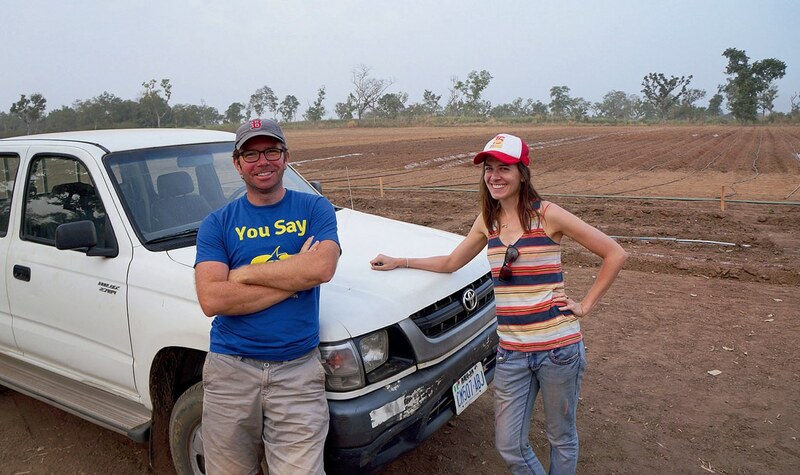 Since late last autumn, Mira Mehta and Shane Kiernan have lived in converted chicken coops on a farm in Nigeria’s Nasarawa State—a two-hour drive, when roads are passable, northeast of Abuja, the capital of Africa’s most populous country. 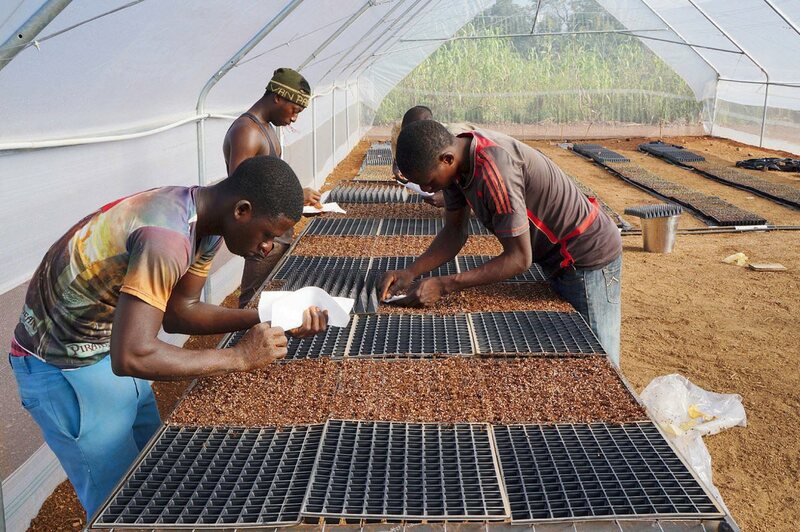 On December 23, they started transplanting tomato seedlings from their bare-bones greenhouse to a model plot on a hectare of leased land. Just as they began irrigating the plants, their new well collapsed, and they had to divert supplies and use storage to deliver 80,000 liters of water a day while a replacement well was drilled. Seven weeks after transplanting, voracious borers began to prey on the plants; Mehta and Kiernan had to scramble to get licenses to import traps for the pests. 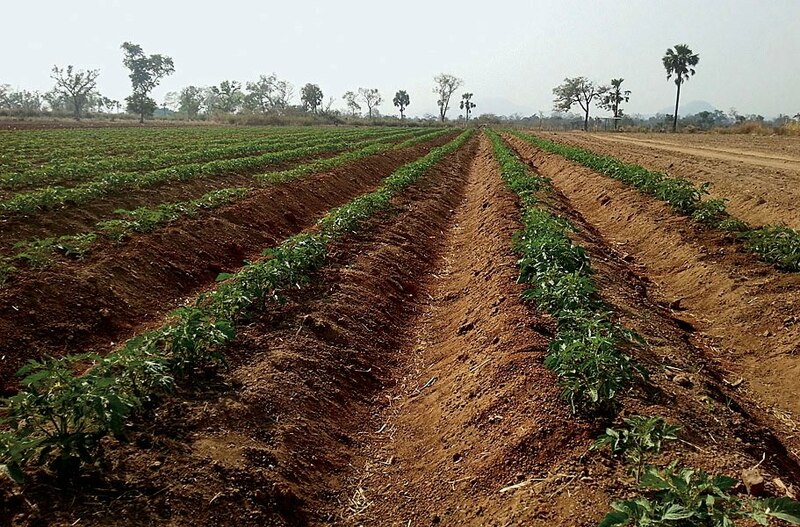 Although their own demonstration field was guarded, the plots of other smallholders, whom they hope to enlist in their venture, were not; nomadic Fulani tribesmen drove their cattle over those fields unhindered, complicating the pair’s plans to expand planting. But despite its ambitions, their modest enterprise, Tomato Jos (www.tomatojos.net), is not crazy. Nor are the adventuresome co-founders, Mehta, M.B.A. ’14, and Kiernan, who plans to complete his last credits for a master’s in health policy and management from the Harvard Chan School remotely this year. Both have finance experience. Both worked in Africa for the Clinton Health Access Initiative (Mehta in Nigeria, Kiernan in Ethiopia). In preparation for a Harvard Business School (HBS) new-venture competition, and with their $25,000 runner-up prize, they studied the transportation bottlenecks and market asymmetries that kept farmers from selling their crops at a fair price, and the resulting waste of fruit, despite obvious demand. (Even with ample tomato supplies, Nigeria annually buys $360 million of paste. A June report in The Economist highlighted the country’s dysfunctional agriculture, citing the perverse imports of tomato paste.) They learned about the technologies used by the world’s most efficient paste producer, in California. They identified where they might farm, ways to raise growers’ yields, and how to start funding the business. 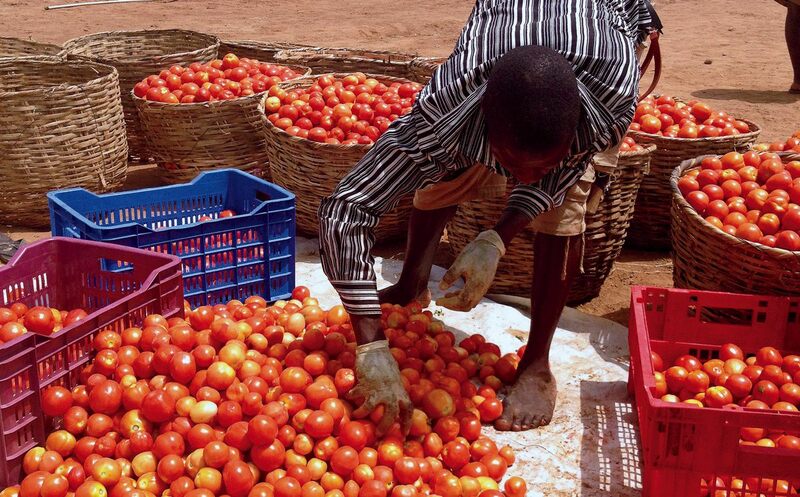 For Tomato Jos is a business, not an aid organization. Mehta and Kiernan are entrepreneurs with an acute tolerance for discomfort and risk. They have raised capital and plan to raise more, while aiming to earn revenue by penetrating a large market—generating returns to finance reinvestment and growth. Tiny and entrepreneurial, Tomato Jos is at one end of a spectrum that extends to multibillion-dollar, multinational corporations. What they have in common is pursuing profits and social objectives at the base of the economic pyramid—a pursuit full of promise and new challenges for businesses worldwide. Imagine a simple triangle diagram of the planet’s population. A fortunate couple of billion upper-income people—in the United States and Canada, much of Europe, Japan, Australia, and prospering urban centers in parts of Asia and Latin America—occupy the apex. The invisible hand of market capitalism supplies this prominent minority with bountiful goods and services. But that leaves a lot of people out. At the very bottom of the pyramid, a billion or more humans live in poverty (on less than $1.25 per person per day), often depending on government programs and charitable aid to subsist. In between, pointed out V. Kasturi (universally, “Kash”) Rangan, live the low- and low-middle-income majority of mankind: perhaps four billion people who are entering or are already in the cash economy—but barely, with incomes of up to $15 per day. In a conversation, he compared the lives of these people, the base of the pyramid, with those at the top. Because they likely do not own property, and lack rent or tax receipts, they are not bankable, so they turn to exploitative money lenders for credit to stock a shop or start a small business. For medical care, they choose among local healers, vendors of patent nostrums, or queues at public clinics (where it may take a bribe to advance in line). Their labor, often interrupted by those queues or long bus trips to remit cash to a rural family, may be seasonal, itinerant, and legally unprotected. Functioning markets, he noted, imply a level playing field between consumers and producers, but most of these people aren’t getting a remotely fair deal. It is as if the broad base of the pyramid were an alternate universe where familiar rules don’t apply. Rangan quickly credited the late corporate strategist C.K. Prahalad, D.B.A. ’75, of the University of Michigan, for saying (most prominently in The Fortune at the Bottom of the Pyramid: Eradicating Poverty through Profits, published in 2004) that the same rules ought to apply. Shortly thereafter, Rangan, who is McNair professor of marketing and co-chair of HBS’s social-enterprise initiative, began drawing on his own interests and expertise, colleagues’ perspectives, and the experiences of alumni active in developing economies to refine and deepen Prahalad’s ideas. Michael Chu, Kash Rangan, and Shawn Cole bring research from around the globe to “Business at the Base of the Pyramid” classes. For example, he has collaborated closely with Michael Chu, M.B.A. ’76, who returned to HBS in 2003 as a senior lecturer to think systematically about business and poverty, after years of founding and leading microfinance institutions that lend to the poor. In a 2007 essay, “Commercial Returns at the Base of the Pyramid,” Chu examined “why the bulk of humanitarian responses to poverty alleviate its effects while failing to significantly reduce it,” a Sisyphean outcome. Even that may be generous: as Rangan has observed, development aid worldwide totals perhaps $135 billion per year—enough to support the people at the base of the pyramid for a few weeks. In a 2011 Harvard Business Review article, Rangan, Chu, and Djordjiga Petkoski of the World Bank extended the analysis further, explaining how businesses might segment the developing low-income market by needs and resources. They noted that companies might even have to view their lowest-income prospects as co-producers: hence Tomato Jos’s aspiration to introduce new growing and sales systems in order to knit farmers into a more rewarding economy. As base-of-the-pyramid consumers, people “often turn out to be paying premiums for, and wasting a great deal of time on, products and services that are shoddy at best” (those money lenders and healthcare queues), so openings exist for better, profitable businesses. In fact, scarce funds make the poor highly receptive to better quality, lower cost, time-saving offerings—but such products and services must be designed for customers who may differ significantly from those at the high-income apex. Beyond journal articles, these issues have been aired during the past decade in conferences on economic development and philanthropic impact, and in businesses’ engagement with new markets. One important locus for exploring how this framework informs practice, and is in turn enriched by managers’ decisions, is “Business at the Base of the Pyramid” (BBOP), an elective HBS course created and led by Rangan and Chu. The expanding cohort of M.B.A. students who enroll—one-fifth of the class of 2015, in three sections taught by Rangan, Chu, and professor of business administration Shawn A. Cole, from HBS’s finance unit—suggests wide interest in applying the power of capitalism to this unfamiliar domain. The course is pertinent not only for entrepreneurs (Kiernan enrolled), Rangan noted at its first meeting last September, but also for investment and finance professionals, consultants, and managers in global corporations that increasingly do business from Mumbai to Johannesburg. Conditions in these emerging markets are not the only unfamiliar content they encounter. As the course progresses (from considering how to meet basic needs like sanitation or access to healthcare, to financial inclusion for the poor and financing socially oriented businesses, and ultimately to corporate efforts to reach beyond high-income consumers), students contend with existential questions. What are fundamental needs versus consumer satisfactions? Are there trade-offs between social impact and financial return? Is a business’s social benefit intentional, or tangential? The course does not adopt a position on such issues. Nor do students—whose perspectives range from strict return-on-investment principles to a primary focus on social welfare—converge on a point of view. But in discussing cases, and engaging with visiting managers from the subject organizations, they address issues that rarely arise so vividly in business education. • Privatizing basic services. For instance, is it useful to privatize a basic good, like the supply of water, and if so, how? In the guise of a case about a potential expansion, the class explores the successful privatization of much of Manila’s water system. The hallmarks of Manila Water Company’s model are close collaboration with community groups to install common taps and communal billing; deft operations that cut off thieves who stole water and peddled it to the poor by the jerry can, at exorbitant prices; and higher rates for more affluent, larger users to subsidize the cost of supplying the rest of the population—while improving service for all. It is a clear case of creating significant social value and profits. As a chastening counterexample, students dissect New Yorker writer William Finnegan’s “Leasing the Rain,” a report from Cochabamba, Bolivia, where Bechtel Corporation’s capital-intensive plan to modernize the water system, beginning with much higher rates, led to street protests, political chaos, and its de facto expulsion from the country: a sobering reminder that ignoring the external operating “ecosystem” carries real risks, and that success extends beyond projected cash flow and return on equity (ROE). • Weighing social value. What of businesses’ relative social value? At the time the case on Grupo Elektra was written, the Mexico-based retailer of electronics, appliances, furniture, and clothes was profitably serving lower-income shoppers (including by extending credit), but faced dilemmas such as what sales lines to emphasize and what new countries, if any, to enter. It was a sound business, which enlarged customers’ consumer sovereignty. During the same period, Farmacias Similares, a chain of drugstores in low-income Mexican neighborhoods—associated with a generic-drug manufacturer, and co-located with physician clinics that offered $2 doctor visits—made huge inroads in the nation’s health system. By combining these services, Farmacias offered cost savings on medicines and invaluable time savings for customers who might otherwise have to invest a day to visit a distant clinic, and then find it difficult to fill a prescription elsewhere. Juxtaposting two such cases, on financially robust companies, invited BBOP students to weigh the social value created by each enterprise and to think about the social intent, if any, embedded in their business plans. In his classes, Michael Chu offered pragmatic rules of thumb for sorting among proposed enterprises. First, he suggested identifying the need being addressed: for low-income people, access to pediatric primary care, for example, comes before access to Mozart. Second, invoking psychologist Abraham Maslow’s hierarchy of innate human needs, how might the proposed intervention affect an individual? Fulfilling survival needs (primary education) precedes self-actualization (purchasing soft drinks). Finally, as he reiterated in a conversation, “Will it be able to lead to systemic change?” A slum school might have a dramatic effect on an underserved neighborhood, “But it’s a one-off”: high individual scores, low systemic ones. Given the urgency of reaching most of the world’s population, Chu suggested focusing on ideas that score high on all three criteria, not just businesses that promise high ROEs by selling consumer goods. • Capitalist conundrums. But businesses with a strong social mission prompt further questions. Several BBOP cases involve microfinance institutions (MFIs), lenders that provide small, short-duration loans to low-income groups (which assume collective responsibility for repayment) and individuals. Alongside a critique of MFIs’ efficacy in supporting nascent businesses like village stores or repair shops (a major goal of such loans), class members contend with their operating costs. One of these is simply outreach: where people are widely dispersed, making and servicing loans is expensive. A vivid video shown in class follows a lending officer visiting a borrower who raises guinea pigs (a Peruvian delicacy), conversationally eliciting data on sales, prices, and other elements for a de facto income statement. • Failing to scale. Students also contended with the constraints on nonprofit enterprises. A case about ApproTEC portrayed a social entity that helped subsistence farmers and small entrepreneurs enter the cash economy by providing them with inexpensive, locally made equipment: an oil press; a construction-block press; and foot-powered irrigation pumps—enabling farmers to grow multiple cash crops, and use the time formerly required for hauling water to market their produce directly instead. (Many nonprofits distribute such pumps; see “Sowing Seeds,” January-February 2014, on Myanmar.) On a $2-million annual budget, ApproTEC had helped 28,000 families, principally in Kenya, raise their incomes an estimated $500 to $1,500 per year. Yet it was stymied. Sales contributed only one-quarter of revenue, and donors were averse to risk and unwilling to support the long-term investments ApproTEC needed to expand to lift many more people out of poverty. (See “A Founder’s Dilemma,” on funding a social enterprise.) Absent recurring revenue, ApproTEC’s options seemed counter to its mission: outsource production to a cheaper supplier, rather than develop local ones; or raise the price of the pumps sharply, to reflect their true value to users. The latter plan, readily understood by HBS students who can easily calculate the present value of future cash flows, seemed likely to be a much harder sell in Kenya. 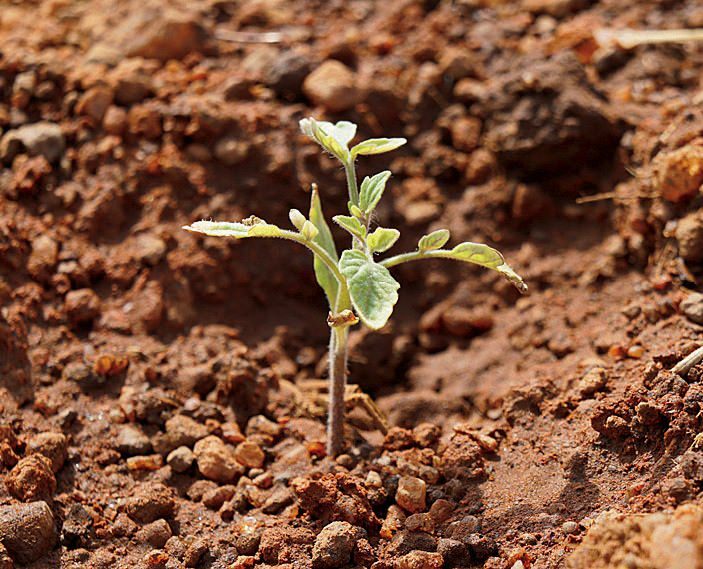 Like its plants in central Nigeria, Tomato Jos is a seedling of a company, financed to date by the winnings from the HBS competition; a Kickstarter campaign; and individual angel investors. That’s appropriate for a new venture of its scale. It faces large business risks compared to those assumed by, say, a U.S. biotech startup. The rural African ecosystem would bewilder most developed-world entrepreneurs, who take roads, banking, and overnight-delivery services for granted. (See “When Everything Goes Right Until...,” for a Latin American retailer’s experience.) Mehta and Kiernan will face further hurdles in securing the larger sources of capital they need to get from the greenhouse to the grocery store. That layering-on of external operating risk, atop the usual challenges for business success, raises real obstacles to financing base-of-the-pyramid enterprises. BBOP introduces students to examples of “impact” investors who aim for varying degrees of social benefit and financial return despite such hurdles. Among them: Bridges Ventures, a private-equity firm that makes investments in enterprises with social missions; Omidyar Network, created by eBay founder Pierre Omidyar, to make impact investments; and new tools like social-impact bonds, used to address such public problems as prisoner recividism while yielding a return to investors (see “Social Impact Bonds,” July-August 2013). All are promising in theory, but their current scale is imperceptible. And at least some early analyses suggest that high social impact is at odds with high financial returns (the latter more often in the upper layer of the base of the pyramid)—implying continued reliance on philanthropy to meet social goals. Other cases in the course touch on internal strategies to finance service to lower-income people. For example, the world-renowned, nonprofit Aravind Eye Hospitals have treated millions of indigent Indians’ cataracts at little or no cost to patients. How? Aravind provides its world-class service to upper-income patients on a fee basis, and then applies the revenue to subsidize pro bono care. Still, if the sector is to flourish, proven financing techniques will have to be adapted to make capital more readily available. One of the most interesting, IGNIA (www.ignia.com.mx), a base-of-the-pyramid venture-capital firm operating in Monterrey and Mexico City, is not part of the course curriculum, but its experience is at hand: BBOP teacher Michael Chu is a co-founder. Launched in 2007 and initially funded with $102 million from private individuals and institutional investors, IGNIA aimed from the start to be a “proof of concept to bring capital to this area,” said Álvaro Rodríguez Arregui, M.B.A. ’95, managing director, in a telephone interview. Some 70 to 80 percent of the population in emerging economies, like Mexico’s, live daily lives “very, very foreign” to those at the top of the pyramid: “It’s not a good recipe for attracting capital.” Most investors, he said, are “more comfortable investing in a building on Madison Avenue than investing in a project in Queens,” even if the latter is more profitable. By seeking out high risk, even for venture capitalists, and creating “extraordinary returns,” he continued, IGNIA hoped to have a demonstration effect on other investors: “Once you are able to show the numbers of a successful endeavor, then you can open people’s eyes” about the sector. Investments range from a chain of optical centers where customers can get exams and low-cost eyeglasses within 45 minutes, to a company that buys groups of foreclosed homes in low-income developments and revitalizes them with community groups to stabilize the neighborhood. IGNIA is also backing a kiosk-based, online, correspondent-banking system that serves customers in the small stores where base-of-the-pyramid customers do most of their shopping—banking without branches, which increases the stores’ traffic. The rapid rise of smartphones (which Rodríguez Arregui estimated are now used by 20 percent of lower-income customers in Mexico) “opens a whole set of windows” for entrepreneurs, he said, even since IGNIA began committing funds in 2008. Although it is too early to know the returns on IGNIA’s initial portfolio, the companies are “performing very well,” he said, and the firm is raising a second fund. Mexican venture capital remains in its infancy, but indigenous pension funds are considering investing—a first for such institutions. Nonetheless, after traveling the world to promote the idea of high-return investing in businesses with a large social impact, Rodríguez Arregui cautioned about progress to date. Compared to the wave of investors in 2007, he said, “There’s basically nobody new.” Philanthropists and backers of social enterprises remain interested, but the finance industry overall still views “impact investing as a spin-off of not-for-profit activity.” Nonprofit organizations, short of capital, have naturally tried to present themselves as pursuing “market solutions to social problems,” but unconvincingly. Nor have measurements of social impact evolved to the point that they can be applied as usefully as metrics like profit margin and ROE (see “Measuring Impact in the ‘Missing Middle’ ”). Mariana Mazon Gutierrez, who directs IGNIA’s industry and institutional relations, noted that prospective portfolio companies undergo “social due diligence” before investments are made, and comply with annual reporting requirements such as those developed by the Global Impact Investing Network. Compliance is time-consuming for the entrepreneur-managers, she said, and it is still difficult to know what to measure and its value to the company. A customer who can now afford prescription eyeglasses surely benefits; but can the impact on her income be quantified? Given that sense of flux, it is not surprising that the three faculty members who taught the sections of BBOP last year hold distinct views of this nascent field. By design, HBS professors principally guide student discussion of cases during class meetings, but in conversation and in their writing (cited earlier), they open up about their perspectives. Michael Chu, who more than his academic colleagues professes from practice, approaches the problem pragmatically. “I find it interesting,” he said, “to apply commercial models, particularly high-impact ones,” to enable people “to live closer to their potential.” He proceeded from that almost spiritual tone to a bright line, with clarifying appeal for the financially minded. Eye-popping profitability, in other words, is the way to attract competition into markets where the low-income majority of humanity today is served poorly, if at all, with intolerable consequences. “Competition is precisely what reconciles profitability and the creation of social value,” he wrote in 2007. “The social role of profit is in fact creating an industry,” he said now. The faster that can happen, the better life will be at the bottom of the pyramid. But as Bechtel learned in Bolivia, that approach might not always be politically palatable. As IGNIA’s investments have shown, the work of identifying and nurturing those pioneering companies can itself be difficult and time-consuming (and the universe of possibilities for extraordinary returns may be limited). Still, applied to urgent social needs, Chu argued, the animating incentive of profitability—part of HBS students’ DNA—is the best agent for betterment at the base of the base of the pyramid. He offered the analogy of climate change: instead of urging businesses to reinvent themselves as sustainable enterprises, a lot of progress can be had simply by imposing a carbon tax. Companies would respond at once to that market signal, like any other cost or regulation, in the normal course of operations. However humanity pursues economic development, Cole said, even though “it won’t solve all the world’s problems, private enterprise is probably the most important solution to those problems,” alongside aid and “other tools in our tool kit.” This is, in other words, an opportunity within reach, with existing techniques more skillfully applied. 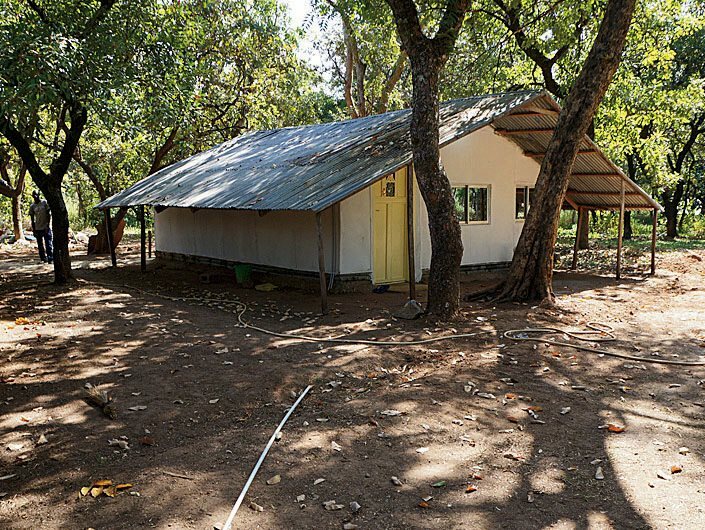 Rangan, expert in marketing and in social enterprises, believes some new synthesis between the logic of conventional, profit-maximizing businesses and social-mission-driven entities is required to meet basic human needs—particularly in the least-developed settings. There, he said, businesses will have to be engaged to provide nutrition, clean water, shelter, and healthcare, enhancing individuals’ opportunities as customers (not aid recipients or clients). When that happens, customers can increase incomes; accumulate assets; and progressively operate as economic agents seeking products and services that improve their quality of life. In other words, in low-income markets, business functions first as an engine of economic development—operating profitably but, for political reasons, not enormously so. Addressing social needs, he elaborated, is not about “corporate social responsibility”: a business’s nonprofit activities, lodged to the side of its operations, intended to benefit host communities and please employees. Instead, his quarry is generating value for the population at the base of the pyramid through the enterprise’s core, profit-making work. That opens a whole universe of new business metrics; of fresh thinking about the fundamentals of finance and marketing; and of long-term partnerships with government, the public, and nonprofit entities to build an ecosystem for enterprise (the public goods that low-income countries can’t afford). The work is not easy, he cautioned, nor are the circumstances for success universal. Given the required investment and the knowledge of local conditions that so many of the cases highlight, Rangan said, “There is no fortune lying on the ground waiting to be picked up.” The optimism in Prahalad’s famous title has been tempered as evidence grows about the problems from which much business research and teaching, and many CEOs, have heretofore kept distant. But the challenge of advancing most of mankind economically, Rangan thinks, depends on today’s business students and leaders, and tomorrow’s, finding new ways of doing business—with a positive impact on meeting social needs, profitably, at the center of corporate strategy.